According to the company, the wind farm will be located in federal waters between Martha's Vineyard and Block Island. Rhode Island officials joined developer Deepwater Wind in providing some details about the “Revolution Wind” project at the Port of Providence. The $250 million offshore wind farm will bring power to tens of thousands of homes as it makes Rhode Island a wind industry leader, WPRI reported. Deepwater Wind, which was chosen for the project the week of May 21, said it plans to invest the $250 million required for the project itself and will not take any state tax incentives or credits, WPRI reported. When the project is complete, state residents will be able to purchase power from the wind farm via National Grid. The wind farm is expected to provide power for more than 200,000 Rhode Island homes. 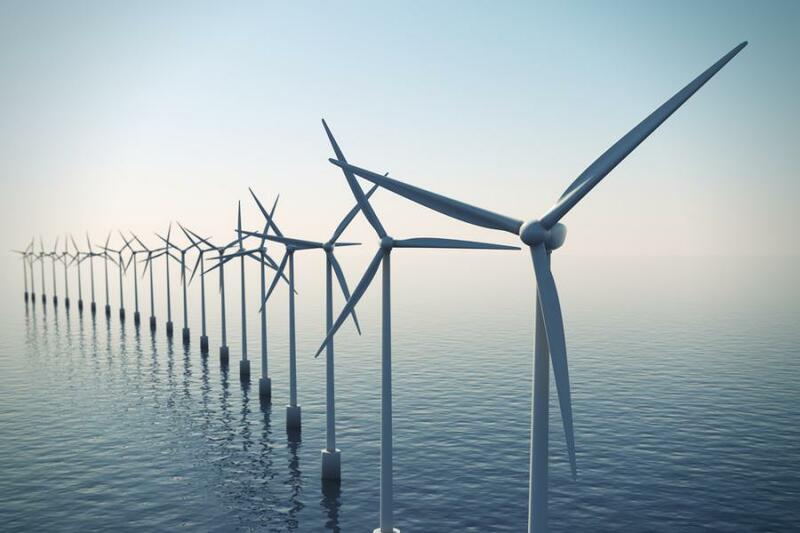 According to the company, the wind farm will be located in federal waters between Martha's Vineyard and Block Island, and will span 10 times larger than the one on Block Island. Up to 50 wind turbines will populate the site; their components will be built both in and out of Rhode Island, according to Deepwater Wind CEO Jeff Grybowski. The project is expected to create more than 800 construction jobs, officials said. Construction is expected to begin in 2020, with a completion date of 2023, WPRI reported.